This spacious and secluded suite offers the best Waynesville, NC accommodations for your trip to the Smoky Mountains. It overlooks the lily pond and boasts a cottage atmosphere reminiscent of Southern Europe. 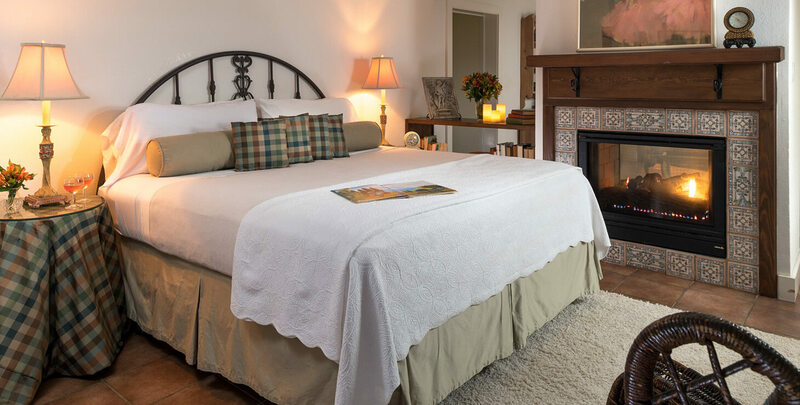 With its romantic ambience and cozy charm, this room offers warm, sun-baked ceramic tile floors, a wet bar, whirlpool tub and a two sided fireplace trimmed with decorative tiles. The lace curtains, king size iron bed and low, wood-beamed ceiling are typical of the quaint architecture of southern France, Italy and Spain. French doors open to your private terrace where you can enjoy the fresh mountain air and bask in the beauty of our five lush acres. If you wish to stay in our Vineyard Suite, a complimentary bottle of red or white wine or cider is included – which makes this room perfect for a romantic getaway to North Carolina. *Rates based on double occupancy, additional $20 for a third guest. Children over 12 are welcome at the inn. 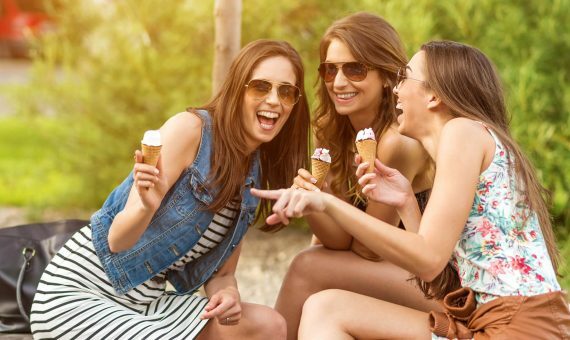 Enjoy a luxurious, relaxing, and delightful getaway with your girlfriends!